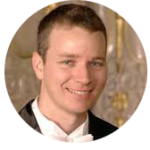 We have just received the endorsement of Jeremy Branson, Associate Principal Percussionist of the Pittsburgh Symphony Orchestra. Prior to his appointment in the Pittsburgh Symphony, Branson was a member of the New World Symphony in Miami Beach, Florida, under the direction of Michael Tilson Thomas. During that time he also played regularly with the Philadelphia Orchestra. Branson has performed under the batons of such conductors as James Conlon, Rafael Fruhbeck de Burgos, Charles Dutoit, Christoph Eschenbach, Manfred Honeck, Andris Nelsons, Leonard Slatkin, Gerard Schwartz, Robert Spano, Michael Tilson Thomas and David Zinman. He has performed with notable artists including Emanuel Ax, Sarah Chang, Renee Fleming, Hilary Hahn, Thomas Hampson, Lynn Harrell, Lang Lang, Yo Yo Ma, Jean-Yves Thibaudet and Andre Watts. Branson has premiered works by composers such as John Adams, Richard Danielpour, Michael Gandolfi, Philip Glass, Jennifer Higdon, Gyorgi Ligeti, Steven Mackey and Christopher Theofanidis. Branson earned his Bachelor of Music degree from Texas State University. He then earned his Masters of Music degree from Temple University in Philadelphia under the tutelage of Alan Abel. During his education, Branson attended the Aspen Music Festival, National Repertory Orchestra, National Orchestral Institute, Roundtop Music Festival and the Texas Music Festival. When not performing Branson enjoys high adrenaline sports. As of 2015, he holds two world records in wingsuit skydiving in addition to several national records. He also can be found on the ski slopes in the Rockies during the winter whenever he has a few free days. Branson is also an avid endurance runner. Branson is the chair of the Percussion Department at Carnegie Mellon University.